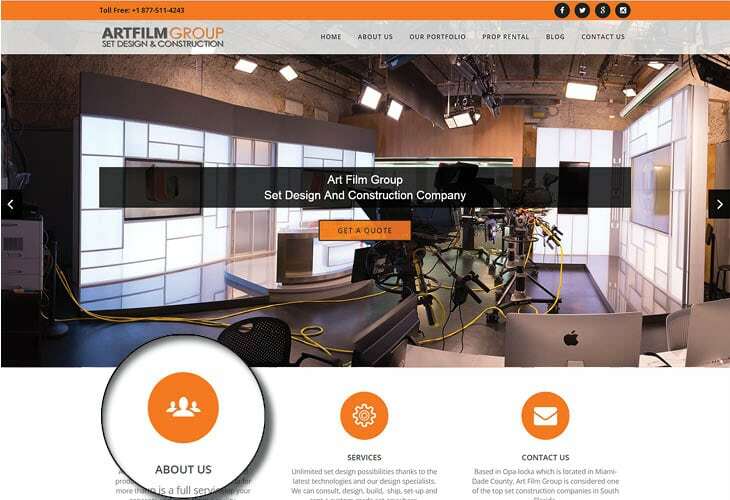 Art Film Group is a Florida-based full service scenery and set building company. 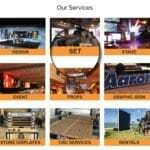 They do design services, fabrication and installation of set designs that can be used for trade shows, television, and film. 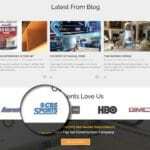 The company has a team of dedicated woodworkers, metalworkers, and design professionals. 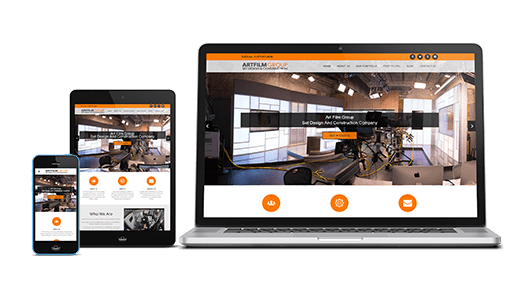 The company commissioned Simplio Web Studio to make a website for them to showcase their company’s services and portfolio. 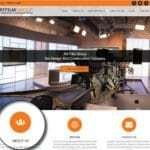 The result is a responsive website that uses orange, white, gray and black color combinations. 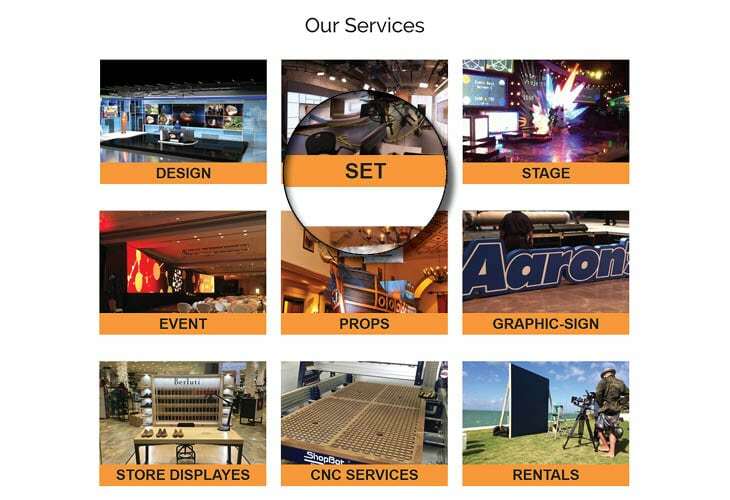 On the main page is a full page slider that showcases the sets done by the company. 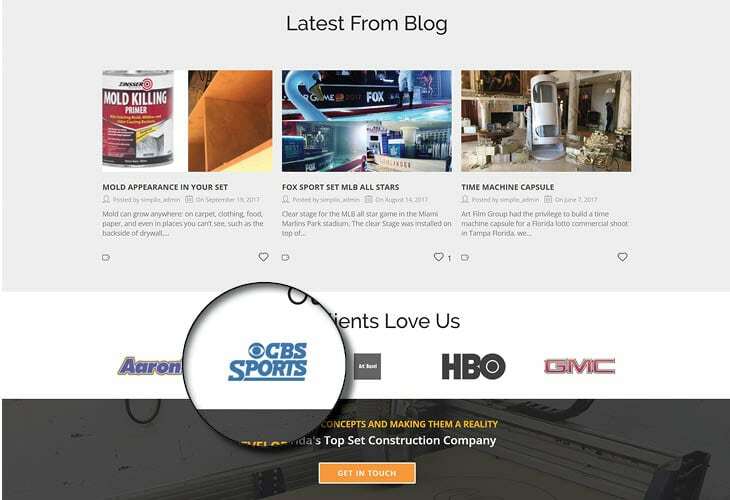 If you scroll down, you’ll see the list of services offered by the company as well as past clients and a call-to-action button.